We discovered this unassuming little eatery on our last visit here in 2014. It sits on the second floor of the still largely-vacant River City Mall, straight across the Chao Phraya River from the Hilton, a 30-cent ride. 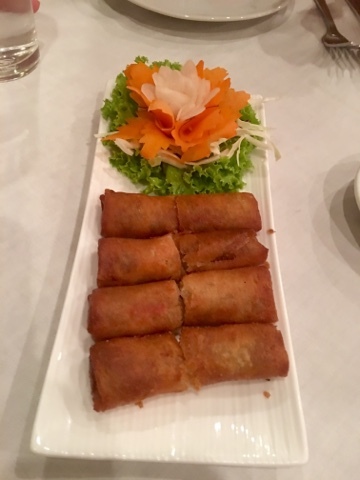 We gave it a thumbs-up review on Trip Advisor, and we found it just as good tonight.Nothing too adventurous- we started with Spring Rolls. 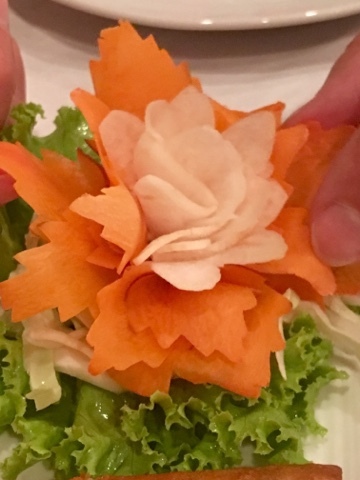 Check out that carrot "flower." 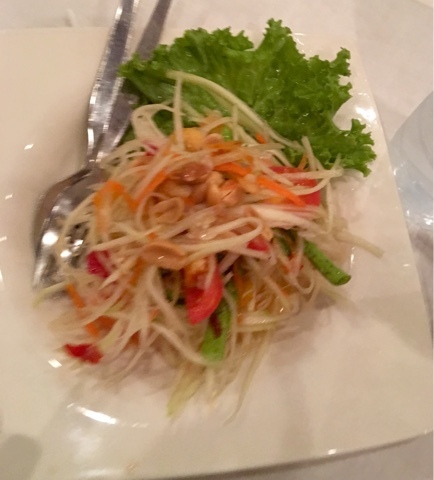 The papaya salad was terrific. 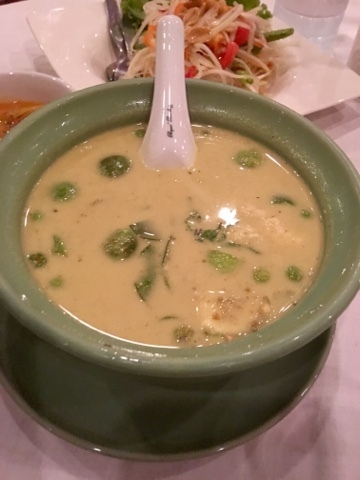 Our remaining dish was a green curry - also terrific. That should last us until breakfast.